comprehensive integrated data-driven RCM services. The healthcare reimbursement process grows more complex as the industry transitions to value-based reimbursement, experiments with new care delivery models, and reapportions the financial responsibility for care among various stakeholders. Receiving accurate and fast payments for the care delivered is increasingly harder. Our complete and comprehensive suite of reimbursement and revenue cycle management solutions makes the process more efficient and effective, ultimately helping you meet your revenue and performance goals. Save an average of 4 to 10% in operational costs. Work with our United States based, dedicated implementation specialists, certified professional coders (CPC), and Certified Professional Medical Auditors (CPMA) to begin moving to our RCM service. We developed seamless implementation plans from our years of experience working with various clients. Remove frustrations of working with multiple vendors and partner with one organization with a proven track record. Our team creates integrates multiple departments to accomplish your common goal. Along the way, we provide constant feedback on processes and performance improvements to make. 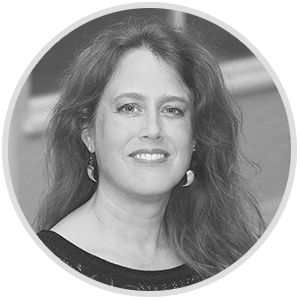 Our team handles your entire RCM workflow. We understand the specialty-specific and complex challenges in clean claim creation, quick submission, aggressive follow-up, denial management, appeals, payment posting, patient balance management, and reporting. Our experts analyze and dissect denials and accounts receivable to locate problems and prevent reoccurrence. Our custom dashboards gives our clients a real look into their AR and denials, and only available to only Phoenix clients. Our coders utilize National Correct Coding Initiatives and adhere to The Ethical Standards of Coding. We take every precaution to remain HIPAA compliant and quickly adapt to new rules and regulations. We continuously evolve our processes and technologies to set new standards in the revenue cycle management industry. As a result, you benefit from our best-in-class practices developed, tested, and refined through countless successful engagements. Our team of experts provides constant feedback to improve processes and performance, saving clients four to ten percent in operational costs and increasing collections up to 30 percent. Since our inception in 2008, we believe in creating true partnerships. Our commitment to service excellence earned us a 100% client satisfaction rating. designed specifically for your organization. While the competition is gloating in their victories, we’re busy focusing on the industry we serve, building our technological foundation, and improving our customer service skills.  Experience unmatched results and a true sense of partnership when working with the Phoenix Healthcare Services team. Do you perform coordination of benefits (COB) verification? Yes, accurate data from the on-set is one of the first vital steps to a clean streamlined claim life-cycle. COB verification is the best tool to verify the validity of the patient demographic information and insurance coverage data. We have the technology tools and proven workflow to quickly and easily perform either a standard or an advanced COB. Do you review charges before sending them to the payer? Yes, we do. If we see areas for improvements such as CPT, ICD-10 and modifier coding we will inform the client and put together a pro-active plan so that we minimize the possibility of the same error occurring again. This is not a chart audit but if you wish this is a service we offer along with coding services. Do we have to change clearinghouses? No, not necessarily. We have relationships with the most common clearinghouses so we can keep your existing payer connections. Both EDI and ERA. As a result, this expedites the transition process and eliminates any potential delays in cash-flow. New practice clearinghouse connections can be set-up with most payers within 5 business days. Clearinghouse fees are included within our monthly % of net collections. Do you manage and track denials? Yes. While competitors can manually manage denials they do not have the technology and systems in place to quantifiable track and display denials. With constant changes in payer regulations and increased red tape to get claims paid accurately manual processes will simply not improve RCM performance. Clearinghouses have denial management tools but are costly and do not track all the claims so only giving you a partial picture by tracking only ERA denials and not any paper EOB correspondence. Nor does their technology allow you to implement a human that can add an extra level of understanding to whether the denial is a true denial and is the denial categorized correctly. 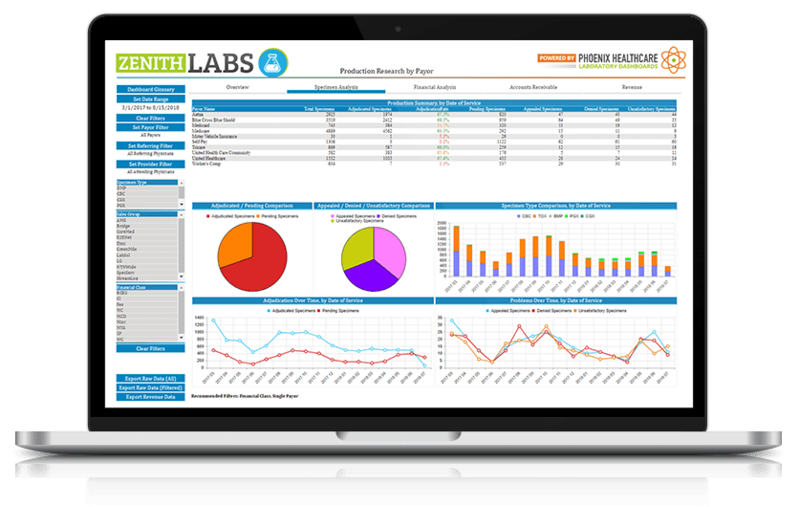 The only way to manage and track denials that gives a clear complete picture are our hand crafted denial dashboards, only available at Phoenix Healthcare Services. These dashboards are included within the Claim Management fee based on a % of monthly net collections. View our Denial Dashboard up close. Who receives the payments from insurances and patients? All EFT’s, checks and patient online payments are sent directly to you. We do not receive or touch any funds. How do you manage patient balances? We understand the patient relationship is an important component to the health of your organization and take patient balance billing very seriously and affiliate it as an extension to the care of services you provide. While we stay within payer guidelines, we have best practice protocols and technology to maximize the patient balance collections performance and at the same time give you comfort we are equally caring towards your valued patients. When do I see reports and how often can I see them? Reports can be valuable and we provide a monthly closing packet of pre-elected reports. Custom one off reports can be created also and typically delivered within 48 hours upon request. As a data-driven organization we don’t necessarily like to rely on monthly flat reports but instead empower our clients with on demand access to the data that matters to them most. We deliver this through our technology where each dashboard is hand crafted to your specific requirements by our Revenue Cycle Management experts. That way you don’t have to waste time creating and analyzing reports but instead see your when you wish and focus on your KPI’s with drill down capabilities. All viewed in a way that makes sense to make those informed business decisions. Are there scheduled performance calls with Phoenix? Yes! We welcome scheduled performance calls. Typically they are more frequent during the start of our partnership until we get into a weekly then monthly rhythm. Your account manager leads the call and depending on the topics invites Phoenix team members such as Enrollment Specialist to a Certified Professional coder to join the call. That way we have all the expertise available to collaborate to improve your RCM performance. Something which most RCM companies and in-house organizations can’t do. Also do feel shy to wait for the scheduled call to ask questions. Feel free to email or call your account manager whenever your wish.